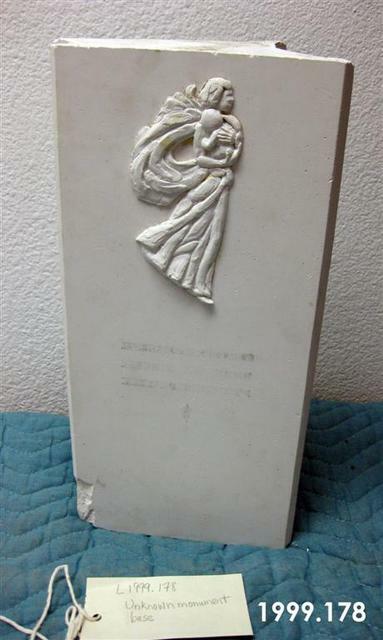 Plaster base with same angel like image on 2 sides. There is some markings for text but not readable. 15" x 7" x 6.5"
Fredericks, Marshall M., 1908-1998, “Unknown Base, Triangular, [Plaster],” Marshall M. Fredericks Sculpture Museum, accessed April 24, 2019, http://omeka.svsu.edu/items/show/5446.